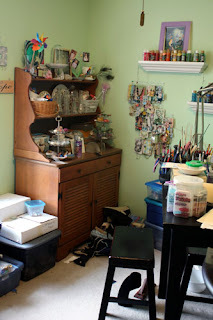 Y'all really surprised me with all the comments yesterday about my craft room . . . .and I didn't even have any pictures. Just some of the felt I organized this afternoon. I should remedy that today. But first. . .let me explain that after I saw Patty's beautiful studio, I went straight to work on weeding out mine. So, these pictures are not 'true' BEFORE pictures. 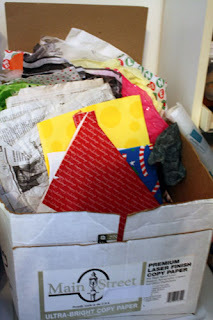 In addition, once you see these. . .you'll understand my desperate NEED to redecorate, reorganize, and simply overhaul the entire craftroom. Please don't judge me! Inside to the left of the door is this little cardboard drawer unit. The items in the floor are 'keepers' that need a new home in the room. 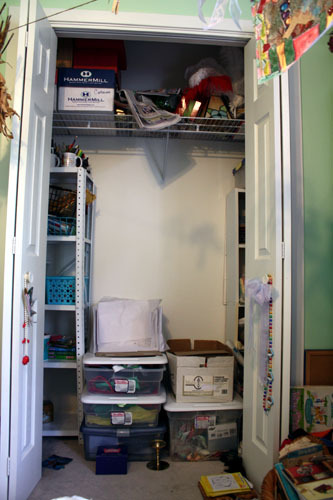 Here's the craftroom closet. I had already started on it when this photo was taken. You should have seen it before. . .it was BAD!! In the far corner is my hutch that I'd like to paint a nice, bright, vibrant color. It holds all kinds of miscellaneous miscellanea. 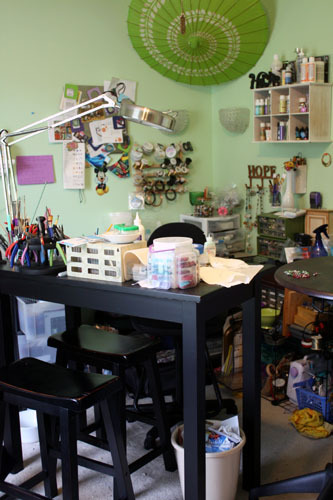 Here's the craft desk and the chaos that exists behind it. I like to have my supplies within reach and that's going to be the biggest challenge with my redesign. And we're back facing the door. Unfortunately, you can't really see much of this area. I'll try to get a better picture of it later. 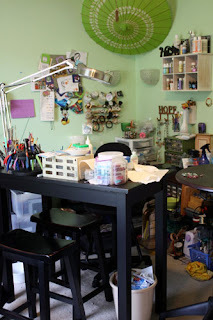 So that's the craft room in a nutshell. I've made a few small decisions about it. 1. The wall color will remain the same. I'm not as much a fan of this color as I was when we moved in and painted it. I'd LOVE to change it. 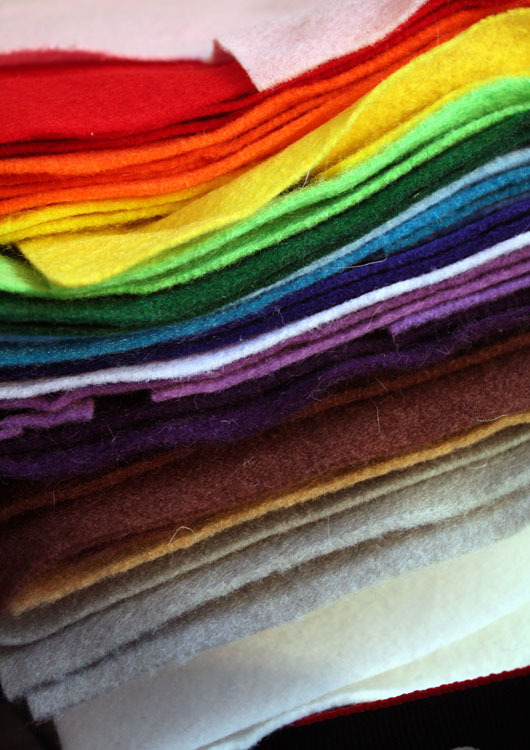 However, the subtlety of it will work with a wide range of other colors I'd like to introduce. 2. 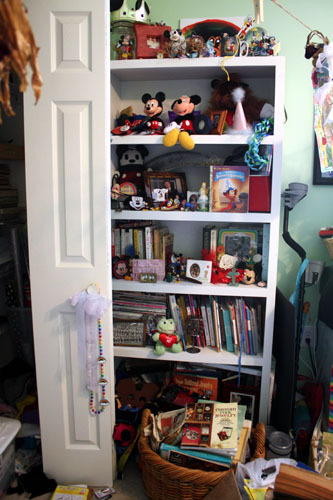 The Mickey collection on the big bookcase will need to be moved. I want to move it into the bedroom (the Mickeys not the bookcase) since the walls in there are red and will match. But, I think Pat just wants to get rid of it entirely. That's not going to happen. 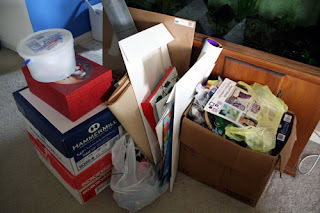 I've already made one trip to the thrift store with donations. It was a good amount of stuff. This and two more plastic grocery bags were dumped on Goodwill this afternoon! You should see what I kept. I realize that I don't especially NEED all of the items that I'm hoarding to make tiny jewelry components. I've got STACKS of books and papers and other ephemera that I keep for collage purposes. 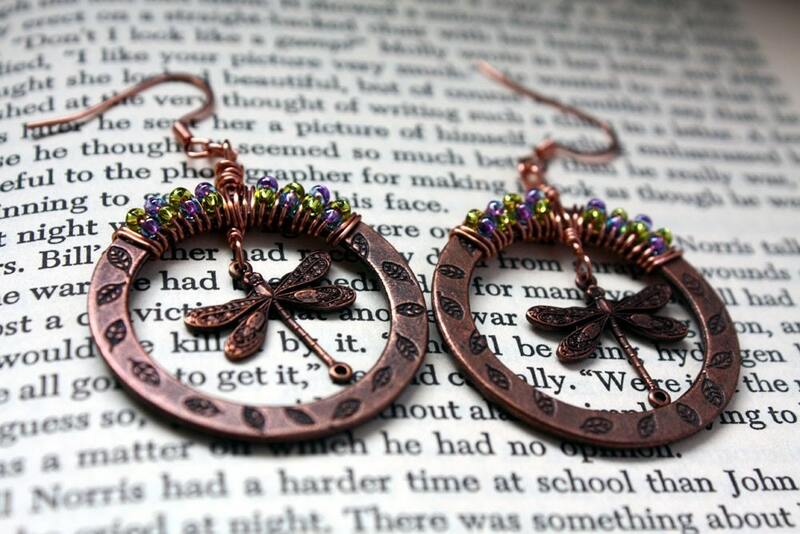 Right now, I'm considering making packets of these pieces to sell online or give away. Granted, that will take some time also. Perhaps that will be a project later. But first, I was wondering what y'all thought of that idea. . .let me know. My box of tissue and wrapping paper bits is just SOME of the paper I hoard. Before I head out, don't forget that the 7000 Bracelets for Hope Blog Hop is tomorrow. My post is already written and scheduled . . .come back tomorrow to see what I and the other generous souls created. Stop buying beads? Take stuff TO the thrift shop? Did my husband send you? LOL. Seriously, I am in a very similar, very cluttered boat. Great job, tackling your clutter. Maybe there's hope for me. Awesome Mickeys. They will look great with red. I think making little packs of paper and ephemera is a great idea! You could group them by theme or color or....just make them random. I'd probably buy some of them. I have bought similar things on etsy before. "From your studio to mine"--or my kitchen table, to be more accurate. I like it. Thanks for posting this stuff; you are very relatable. I love my bracelet and earrings, and hope to buy more of your work soon. Let's see if the computer eats this one too. Have a great weekend! Patty - I can't wait to see the before. It might reassure me that there's hope for me yet! I love me some Mickey. . .he's my hero! I'm going to do some research but then the ephemera packs might be a possibility! Thanks as always for the encouragement!! It really helps! I like your craft room. Honestly, I do. I think it's got a really good foundation to make a dream room. I love the color of your walls. That white closet is so darn cute. I am so impressed you have a light carpet and it's gorgeous. I saw your sweet kitty in one picture. How did you bribe her to keep the carpet so pristine? My angels would have had a field day already. 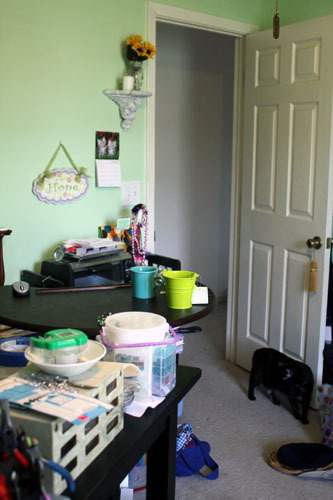 :) That hutch and your desk is to die for. Thanks so much. 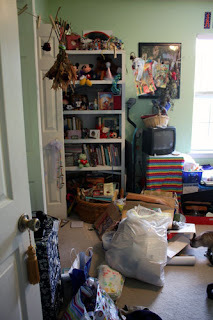 It really is a nice space. . .it's just so disorganized and un-designed. I want to make it a bit cuter. That kitty isn't the problem one. And the carpet is NO WHERE NEAR pristine. All the carpet in the house is in need of replacing because of various kitty-related reasons. However, that will have to wait. 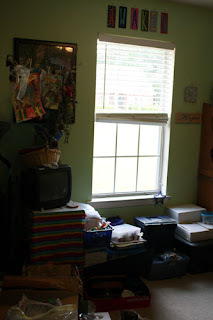 Yes, the hutch, desk, and large bookcase are the furniture that I KNOW will be staying in the room. Thanks for stopping by. I love hearing others' feedback! You think yours is bad! Basically to make the rest of my house look like I keep a neat house, my studio suffers with stacks of stuff. I'm also trying to get it under control, because I think it stifles creativity. I am glad we found each other on the 7000 bracelets hop and am adding you to my blog roll. I'm enjoying your posts! 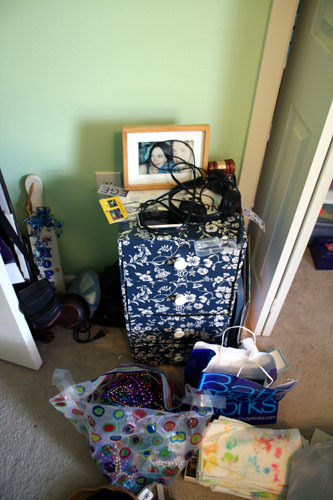 Oh, there are stacks of stuff all over my house. But that's only because both my husband and myself are easily distracted by art, the internet, and the outdoors. It's sad really. We're working on it though.